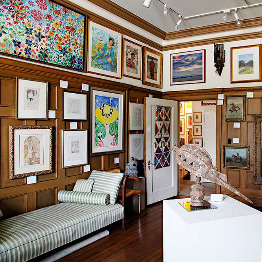 The David Barnett Gallery is Wisconsin's premier gallery and has the most diverse range of art available in any Wisconsin gallery, including works of art that represent more than 600 artists. The gallery specializes in European and American masters, regional and nationally recognized artists, and "emerging" Wisconsin artists. Latin American, Asian, and African American artists also adorn the gallery along with Ethnographic art from Africa, Indonesia, and Oceania. The gallery has a national reputation for its extensive collection of Picasso ceramics and Milton Avery oil paintings. 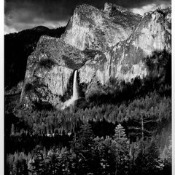 Thomas Ferderbar "Bridalveil Fall, Yosemite"